Deepika Padukone wishes all her fans 'Happy World Health Day' and emphasizes on both 'mental' and 'physical' health. Deepika Padukone, who had once battled depression at the peak of her career, on the occasion of World Health Day, shared a post wishing everyone a Happy World Health Day. She emphasized on both physical and mental health. Not many people take mental health as important as physical health. When one says they are depressed, people usually ignore it thinking it will pass. The fact is, mental health plays a serious role in human lives and needs care. Bollywood celeb Deepika, who is famous for her dimpled smile once battled depression. It is ironic how the girl with a million dollar smile once dealt with depression. Anyone can be the victim of depression and help is what needs to be offered. 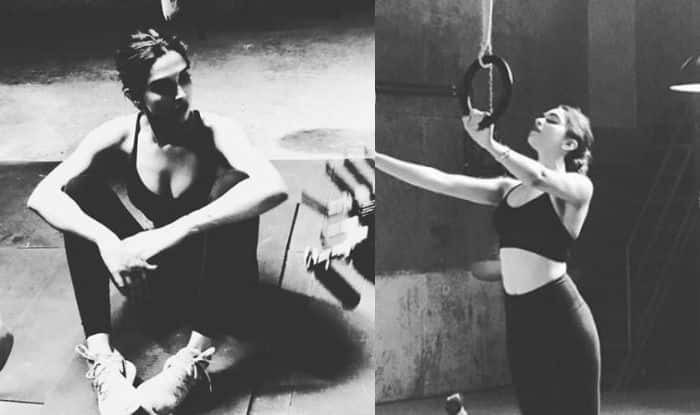 On World Health Day, the Padmaavat actor took to her Instagram to wish everyone with pictures of herself working out and captioned it, “Happy World Health Day!露‍♀️ PS:physical & mental”. On the professional front, Deepika is gearing up for her upcoming film Chhapaak which is based on the life of acid attack survivor Laxmi Agarwal. The film also features actor Vikrant Massey in a pivotal role. Laxmi was attacked at the age of 16 by a 32-year-old man who stalked her and then threw acid at her after she rejected his advances. Earlier, Deepika shared the first look of her character on Instagram and captioned it, “A character that will stay with me forever…#Malti Shoot begins today!#Chhapaak Releasing-10th January, 2020.”. Directed by Meghna Gulzar, Chhapaak is slated to release on January 10, 2020. Chhapaak will be clashing with Ajay Devgn starrer Tanhaji: The Unsung Warrior at the Box Office.